Floor standing winerack hand forged from steel. This beautifully decorative winerack is made to hold eighteen bottles of wine and is roughly 1300mm in height and at the bottom, its widest point, roughly 400mm square. Category: General Items and Gifts. Tag: Wineracks. Floor standing winerack hand forged from steel by West Country Blacksmiths. 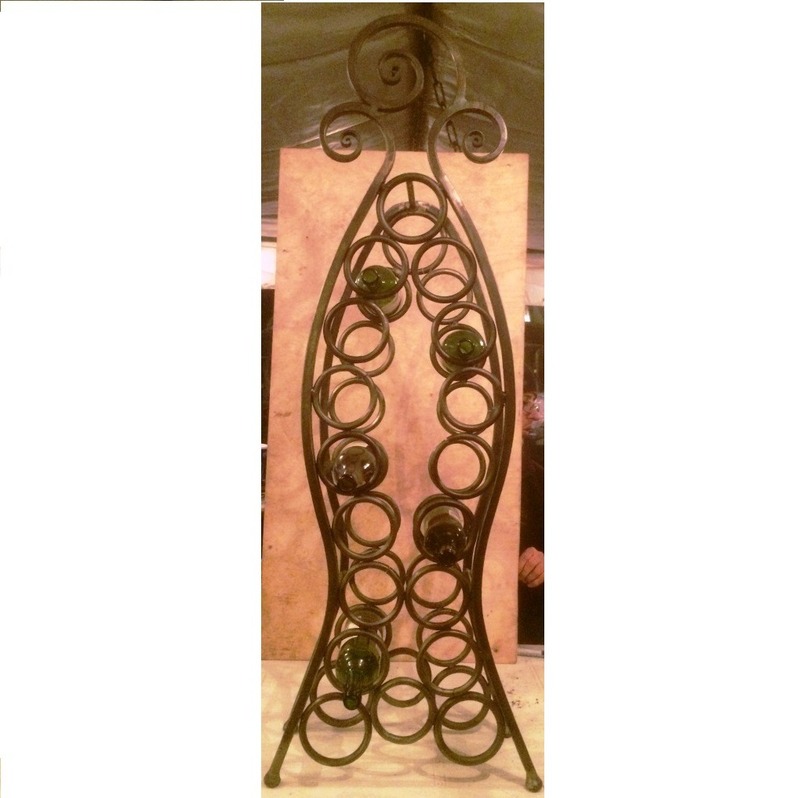 This beautifully decorative winerack is made to hold eighteen bottles of wine and is roughly 1300mm in height and at the bottom, its widest point, roughly 400mm square. The winerack is made from steel and finished by heat treating the metalwork on the forge and applying a traditional beeswax finish which is applied by heating the metalwork and melting beeswax onto the face of the steel to give the piece a lovely almost gun metal finish which protects the metalwork from rusting. The finish is easily maintained with normal household furniture polish or liquid beeswax which is available in most supermarkets or hardware store. The winerack stands on its four feet, but also comes with a small wall hidden wall fixing at the top which we recommend using to avoid and unforeseen incidents. 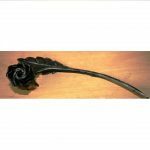 The piece quoted includes all vat, packaging and postage and we advise that this item is handmade to order and will take roughly three weeks to be delivered. Please accept the picture and measurements as a representation only as all items may vary due to their handmade nature.